Home Technology in Education The 2018 Social Progress Index is Out Today! Today, we released the 2018 Social Progress Index results, which provide new insight into what life is really like in 146 countries around the world. 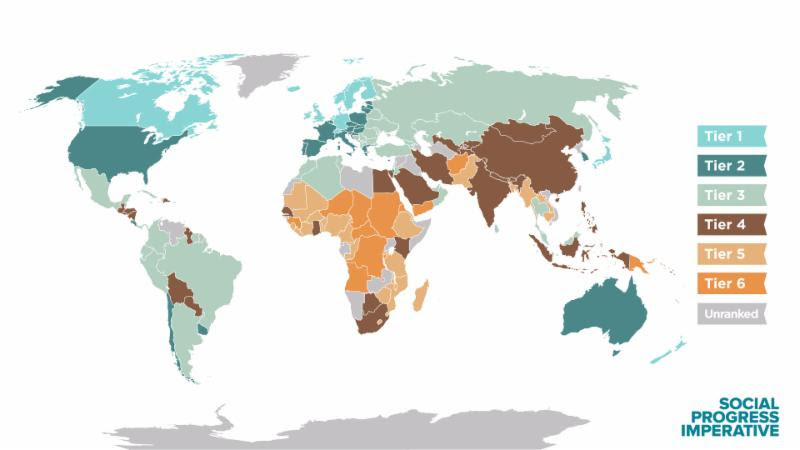 Visit www.socialprogress.org to view the complete findings and see where your country stands. The index is the first holistic measure of a country’s social performance independently of economic factors, as a complement to economic measures like GDP. And for the first time, we are able to compare five years of social progress data, allowing us to examine global, regional, and national trends. In general, the world is improving. Since 2014, the world average score increased from 61.80 to 63.46, and there has been improvement on nine of 12 social progress components. Despite this overall progress, Personal Rights and Inclusion, have gone backwards since 2014, while the world has stagnated on Personal Safety. Norway ranks first in the world on social progress with a score of 90.26. Norway has improved by 1.50 points since 2014, more than any of its Nordic neighbors. 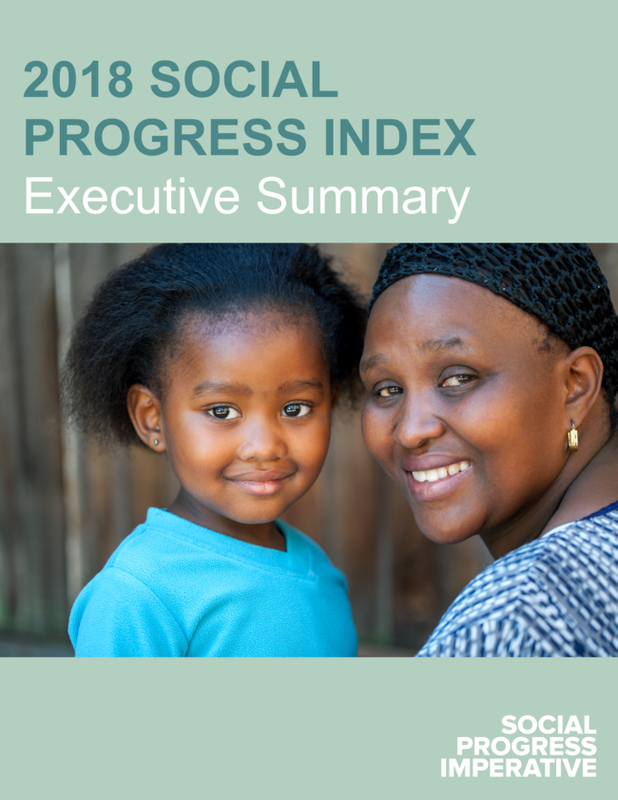 133 of 146 ranked countries improved on social progress since 2014, with several countries, including The Gambia, Nepal and Ethiopia, demonstrating significant improvement. There are important outliers that are going backwards. Most notably, the United States has regressed, declining both in absolute terms and relative to its wealthy, world-power peers, ranking 25th in social progress. These are just some of the headline findings of the 2018 Social Progress Index. At www.socialprogress.org, you can explore the full results and interactive data to learn more about key trends in your country and the world. You will also find full social progress scorecards for all 146 ranked countries, revealing which countries are excelling at turning each dollar of GDP into better quality of life. This work would be impossible without the generous support of our partners and of social progress champions like you. As you explore the 2018 Social Progress Index and find value in its insights, please make a gift to help us continue to improve our work and provide rigorous, actionable social data to decision-makers around the world.